Lately, a lot of effort has been dedicated to researching new approaches to harvest green energy, from environmental resources. Green, or renewable energy, is collected from renewable resources, such as wind, geothermal heat, sunlight, waves and river motion. Furthermore, human body motion is also being considered as a potentially very rich source of energy. This is especially the case for low-energy consumption electronics, such as wearable, implantable and personal electronics and sensing technologies allowing for example, continuous health monitoring. Vibration energy harvesters convert ambient mechanical vibration energy into electrical energy using piezoelectric, electromagnetic, and electrostatic transduction mechanisms. Human-body-induced motion represents low frequency vibrations, which could be used to generate energy, although this is a very challenging task, due to its random nature and very low input frequencies. In University Park, Pennsylvania, materials scientists and electrical engineers believe that trying to overcome this limitation is worth trying, and considered harvesting energy from the slow motion of human bodies. 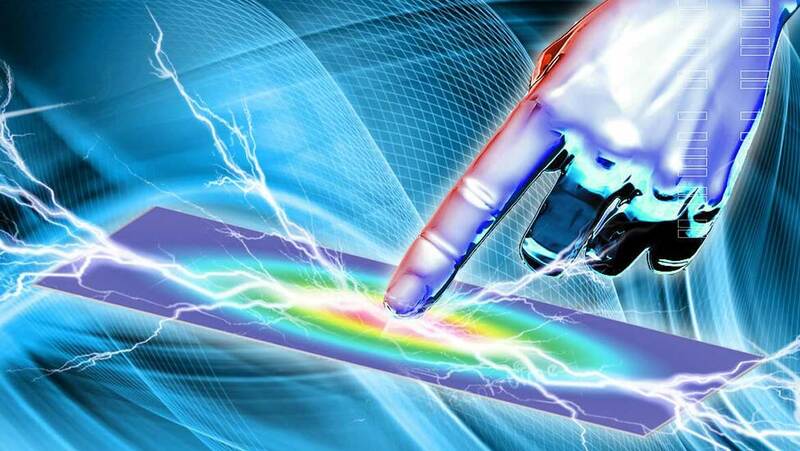 Their thoughts were, that no energy must be wasted, so they proceeded with the design of a mechanical energy transducer, based on flexible, organic, ionic diodes that allows for the implementation of scalable energy harvesting devices. Devices harvesting mechanical energy and converting it into electricity are widely used to power other devices, which use electricity to provide a variety of comfort and services. The interesting aspect of this conversion is that when we increase the frequency to more than 10 vibrations per second, the efficiency is increased higher. The opposite phenomenon takes place, at low frequencies. The question is, at which lowest frequency we have the best efficiency of the conversion? “Our concept is to specifically design a way to turn low-frequency motion, such as human movement or ocean waves, into electricity. That's why we came up with this organic polymer p-n junction device,” said Professor Qing Wang. The ionic diode, a device composed of two nanocomposite electrodes with oppositely charged mobile ions separated by a polycarbonate memberane, is flexible and lightweight. It can be incorporated into a next-generation smart phone to provide almost half of the energy needed to power the device. If the power-consumption can provide the other, and the device puts less demand on the battery, then such a device could work without interruption and without any need to charge the device regularly. The function of the ionic diode has two nanocomposite electrodes (oppositely charged), which are a polymeric matrix filled with carbon nanotubes and infused with ionic liquids. The nanotubes enhance the conductivity and mechanical strength of the electrodes, so their size is highly important in the efficiency of energy conversion. When a mechanical force is applied, the ions diffuse across the membrane, creating a continuous direct current. Establishing the direction is a challenging task of this state. In parallel, a built-in potential that opposes ion diffusion is established, until equilibrium is reached. A trade-off between the time and the accuracy of the ‘equilibrium’ process is required, and it has been established that the complete cycle operates optimally at a frequency of one-tenth Hertz every 10 seconds. If you wonder which type of human slow motion could be converted by the ionic diode, a simple example is the mechanical energy involved in touching the screen of your smart phone, which could be converted by a film covering the screen, and could be stored in the battery. This is the kind of technology we would like to have in our hands soon: just imagine never having to worry about charging your phone or tablet!